A beautiful performance by a famed violinist will surely get you in the Christmas spirit in no time. 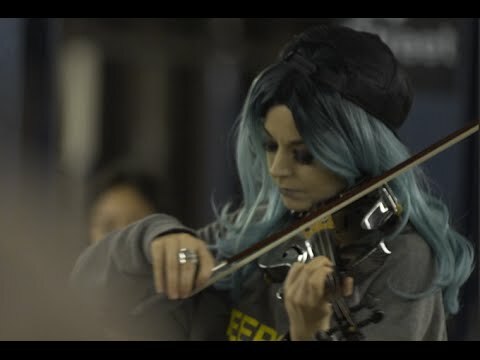 Lindsey Stirling is a world-renowned musician who just released a video of her playing on a New York City subway platform, and it is incredible. Famed violinist Lindsey Stirling is once again wowing millions with her rendition of “Hallelujah” — a tune that is accompanied by a video showing her performing the song on a New York City subway platform; images of a miniature nativity are interspersed throughout. Stirling, a Mormon who is known for dancing while playing the violin in astounding fashion, concludes the video by sharing a powerful message about the power of the gospel and Jesus Christ. While Stirling’s playing is undoubtedly beautiful, her choice of song wasn’t the best, as “Hallelujah” could best be described as an anti-Christian song. Regardless, though, it was a beautiful performance.